July is National Ice Cream Month! If this is one holiday you’re eager to enjoy, check out these options when you crave a frozen treat. These trendy tips are versatile and can be used for family dessert, summer hosting or even a makeshift breakfast. 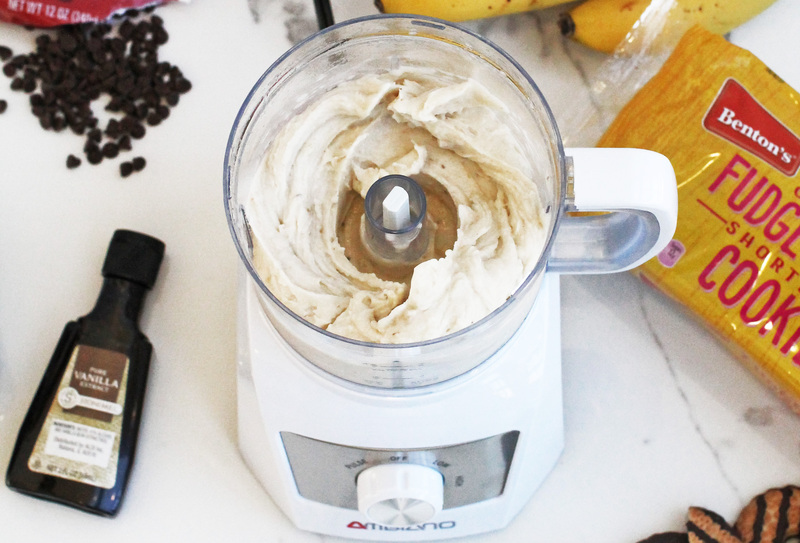 Place frozen sliced bananas in a food processor and you have a healthy sweet treat! Plant-based foods continue to be in demand. Making dessert out of fruit cuts down on calories while flaunting a natural sweetness. Slice and freeze your bananas the next time they ripen; frozen bananas whip to a creamy consistency. This Banana “Ice Cream” Swirl Treat is quick to make and the base is vegan/vegetarian friendly. Sprinkle with toppings of your choice. We suggest Berryhill Hazelnut Spread ($1.99), fresh berries and Benton’s Original Fudge Striped Shortbread Cookies ($1.19). You can also blend other frozen fruit with the banana to adjust the taste. Strawberries, chocolate and mango are common mix-ins. Another one of our summer fruit favorites is this recipe for Freezie Fruit Pops. You don’t even need a fancy popsicle mold—a plastic cup will work just fine. Using only Nature’s Nectar juice and fruit, the end result is a mosaic fruit popsicle that is as pleasing to the eyes as it is to your taste buds. Fruit gets fizzy! Try this recipe the next time you’re craving a pop of flavor. “Boozy” desserts are as popular as ever. For an adult-appropriate dessert, combine popsicles with Prosecco. You can use your homemade Fruit Pop in this recipe or you can purchase a premade version to save time. We recommend our SimplyNature Organic Frozen Fruit Bars ($3.29). They come in three varieties: Chunky Strawberry, Creamy Mango and Creamy Coconut. Place the fruit bar into a large-rimmed wine glass with the stick facing upwards. 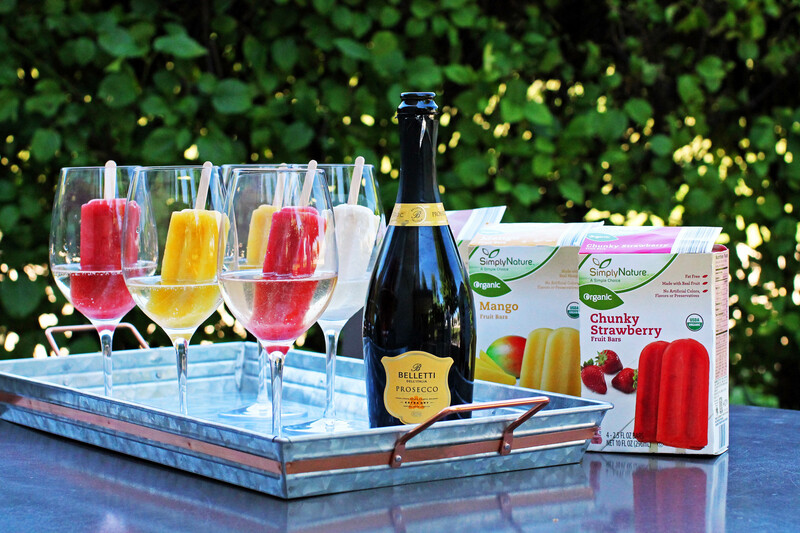 Pour award-winning Belletti Prosecco over the popsicle until the glass is about half full. The Belletti Prosecco ($7.65) was awarded a Gold Medal in 2016 by the Beverage Testing Institute and has naturally fruity notes. It’s the perfect way to toast summer! 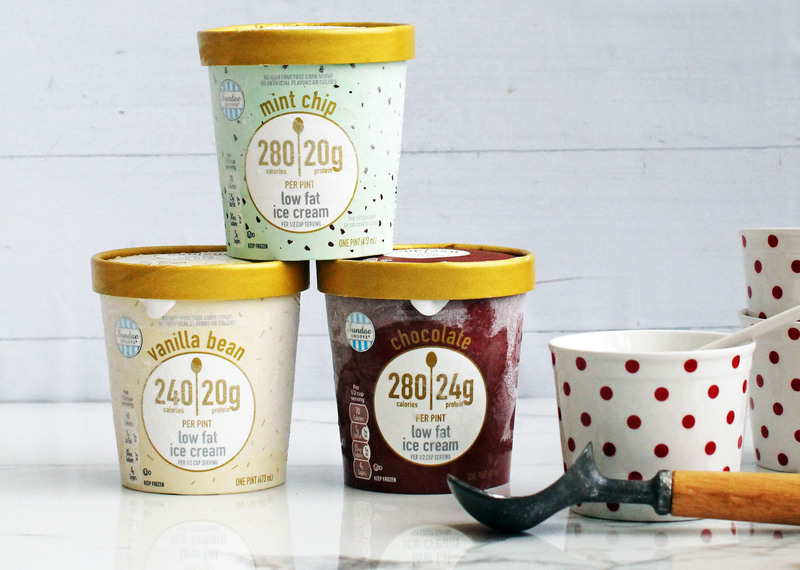 Our low-fat ice cream pints are the perfect summer snack. Just like fruit treats, a low-calorie ice cream option allows you to indulge without guilt. Rather than restricting yourself this summer, treat yourself in a well-balanced way. Low-sugar, low-calorie and high-protein ice creams became best-sellers over the past year. We joined the trend by introducing a new low fat ice cream this summer. Comparable to Halo Top, our Sundae Shoppe Low Fat Ice Cream ($2.99) is available in Mint Chocolate Chip, Vanilla or Chocolate. Add nuts and banana for a nutritional boost. This item is seasonal so purchase these pints before they are gone! Waffles and ice cream will make your mouth water. Thai Rolled Ice Cream – Using a liquid base, (usually condensed milk and cream), pour the “ice cream” into a cold tray. Freeze the ice cream for a few hours. It will freeze flat and can be rolled carefully with a spatula into a spiral shape. Ice Cream & Waffles – You may have tried a bubble waffle cone or breakfast waffles a-la-mode. Waffles and ice-cream are made for each other. Our Cinnamon Belgian Waffle Ice Cream Sandwich is another perfect pairing. 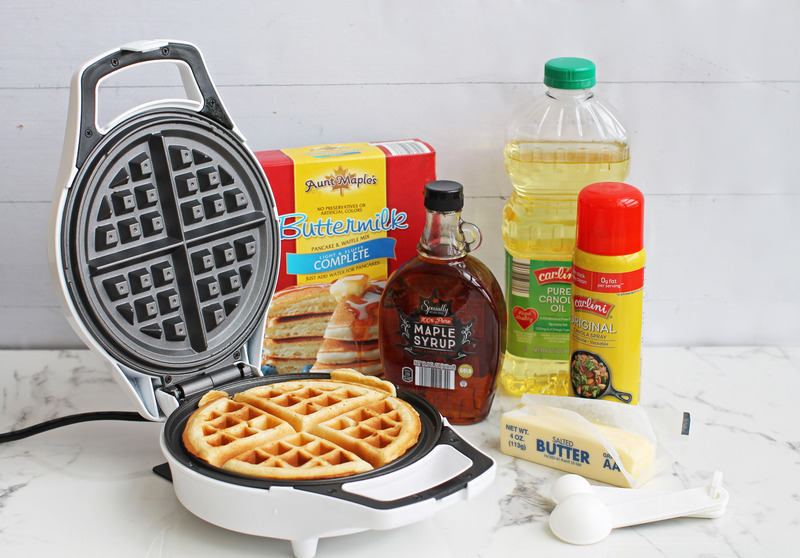 The Ambiano Belgian Waffle Maker ($14.99), in-stores the week of 7/25, will make this recipe even easier. What is your favorite ice cream flavor? Let us know in the comments below! Please, please make the Fit and Active 14 calorie bars a regular item! Thanks for reaching out, Amy. We will forward your feedback to our buying team. I would heartily second that recommendation! Every time I shop in your store in pittsfield mass, there is only 1 cashier on and a long line. I was number 10 in line! Also, I feel like I’m being rushed, they never count back my change and I am made to feel like I’m to slow moving ahead for the next person. The only reason now that I go there is because eggs are cheapest.